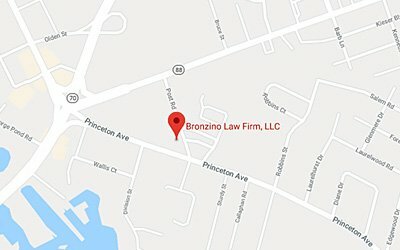 The Bronzino Law Firm, located in Brick, New Jersey, provides dynamic, client-focused representation in Family Law matters, Criminal Charges and Municipal Court summons, Real-Estate ventures, and Wills, Trusts & Estates. We understand and believe that each client is different, with unique needs and goals, and as such, unique strategies must be crafted for each case in order to favorably settle them for our clients. We believe in keeping our clients informed and involved in the legal process, and we are ready to use new and innovative technologies in order to do so. By having up-to-date and detailed information about your case, you can make the best possible decisions for your future. If you would like to speak with attorney Peter J. Bronzino about your case in a free and confidential consultation today, please contact us online or through our Brick or Sea Girt offices at (732) 812-3102. Because each family is unique, we treat every case with care and attention to detail. We take the time to listen to our client’s concerns, and we analyze all available options and potential outcomes. Then we give a straightforward answer that we will stand behind. In these emotional situations, we know that our clients are looking for a candid assessment of their family law issue. We communicate realistically and honestly with our clients so that they can make informed decisions about their future. Real Estate matters are complex and rife with potential pitfalls. Given the substantial assets and high stakes involved with any real estate purchase or sale, it is crucial that you understand your rights in the real estate process. Whether you are buying or selling a home, or buying or selling a business property, it is important that you protect your interests and guarantee as smooth a transaction as possible by hiring an experienced real estate attorney. Attorney Peter J. Bronzino can help you to avoid making costly mistakes, and keep the process efficient and profitable. Although many may view a Municipal Court charge as insignificant, the penalties involved can sometimes be greater than those imposed in Superior Courts. 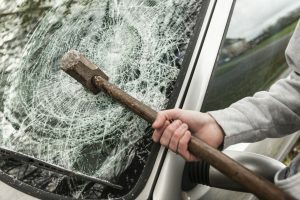 Moreover, while the system may consider the crime at issue minor, enlisting a criminal defense attorney may be critical in warding off the prospect of having a criminal record and paying large financial penalties. 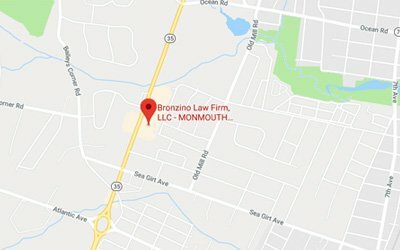 The Criminal and Municipal Court Lawyers at Bronzino Law Firm may be able to help you obtain a better result than you would achieve on your own. Our team of attorneys have experience handling cases in municipalities across both Monmouth and Ocean counties. It can be a benefit that your attorney has familiarity with the municipality you were charged in and and an understanding of how the judges, prosecutors, and the court system operates. The Courts We Serve are any and all towns across Monmouth and Ocean County. Contact us today for a free case evaluation at one of our conveniently located offices in both Brick and Sea Girt, NJ (732) 812-3102. A common misconception is that Estate Planning, Wills, and Trusts are all about money. Although it is certainly a component, it is not the at the core of this area of law. Elder Law is about people, family, relationships. It is a preparation to cope with a significant change: a change that may not be immediate.This change may take place over years or even decades down the road of life. Being prepared for changes in your financial situation, changes in your physical health, even changes in the law that could affect your loved ones. Our guidance throughout this process will provide a preparedness for whatever life throws your way, allowing you to accomplish the goals you set and continue to protect you and your family. Whether you are in need of guidance to navigate any and all family law issues, are in need of counsel on a real estate transaction, are facing criminal charges and/or need to appear for a municipal court summons Bronzino Law Firm is here for you. Our staff and our process is different than most. We take a client-focused approach to another level. We are ready and able to put you in contact with an attorney on our team who focuses on the area of law you need addressed and can begin helping you today. With our honest, communicative, and dedicated approach to handling any legal issue, we believe we can find solutions to, and overcome, even the most difficult of issues. Schedule a free and confidential consultation to discuss your case today by contacting us online, or calling our Brick, NJ office at (732) 812-3102. Schedule a free and confidential consultation to discuss your case today by contacting us online, or calling our office at (732) 812-3102. We provide our clients with informative and detailed articles on all of the latest news regarding New Jersey legal matters and how it affects your case in family law, divorce law, real estate, municipal court, DUI, traffic offenses. Coming from an in-depth understanding of the law and the industry, capitalizing on extensive experience, we provide hands-on advice that addresses all of our clients’ legal needs. Can I Appeal My Divorce Arbitration Award in New Jersey?